Photographing from within the camps can be very rewarding. Here we discuss which camps are most suitable for game viewing from the comfort and privacy of your own bungalow or from viewing areas. 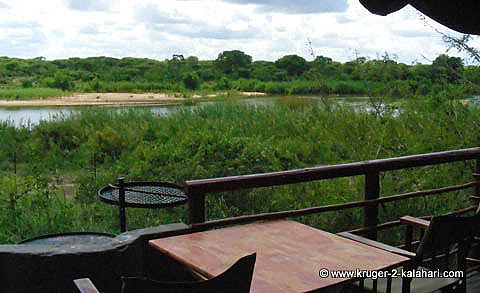 • Olifants – All the river-view bungalows have nice views. Our favorite bungalows just happen to be numbers 13, 14, 16 and 17 as they are situated on the corner and you have views of both the Olifants River and the veld. Bungalow number one used to be the best in terms of views but the new fence is high and obstructs the view. • Letaba - there are many 1-bedroom and 2-bedroom bungalows that face the Lataba River but because they are laid out in a semi circle only the end bungalows of each semi circle (such as family cottage numbers 101, 105, 106 and 110) are close to the fence. If you are staying in other bungalow numbers you will not have a good view of the river and will not be able to photograph from the comfort of your chalet. You do have an option of sitting in front of the restaurant or walking closer to the river but this means carrying heavy tripods and cameras. Family cottages 101 and 110 are our favorites as they are both on the ends of the semi-circle and provide more privacy and good views of the Letaba river. Bungalow number 17 to the west of the restaurant and numbers 32 and 33 to the east of the restaurant have good views of the Letaba River. All the other ‘river-view’ bungalows have views that are obscured by trees and bush. Numbers 20, 21 and 28 also have good views but if you cannot get a river view tent then the best one to ask for is number 15 as it is close to the fence and has a partial view of the river. Keep in mind that the views are dependent on how the bush grows and the season so the tent that in 2009 had the ‘best’ view could have a huge bush in front of it in 2012! Here are the views from tents 20 and 26 - part of their views are obscured by bush and / or reeds because these tents are built lower than tents 27, 28 and 29. Winters will obviously allow better viewing than summer as the bush is not as thick. For people that are out driving every day they won't really be concerned with the view but for those of you that want to have an opportunity of seeing animals (by day or night) from the comfort and privacy of your tent, then tents 27, 28, 21, and 20, are the ones to go for (in that order of preference). Tent number 29 does also have a nice view but is a bit too close the walkway and restaurant so can be noisy at times. 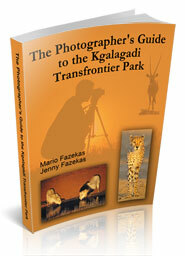 • Skukuza - all the river-facing bungalows and cottages provide opportunities to photograph animals. We have seen elephant, buffalo, hippos, waterbuck, kudu, impala, crocodiles, baboons, vervet monkeys and many birds from the river-view cottages. 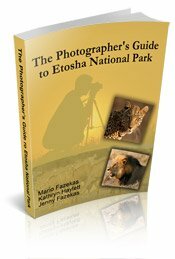 • Mopani- Mopani camp, which faces a dam and could provide great photographic opportunities but the camp staff do not cut the bush and trees back so there is very little view. Another problem with Mopani is that you cannot request a certain bungalow as the bungalows are 'donor bungalows' meaning that the donor (who built the unit) could say they are coming to stay at their unit during the same period you will be there. Bungalows 3 – 12, 44 – 54 and 99 – 102 all face the dam but for most of the year have thick bush covering the view. We have, however, found that bungalows 49 and 102 and family cottage 45 normally have great views of Pioneer Dam if the vegetation is not too thick. 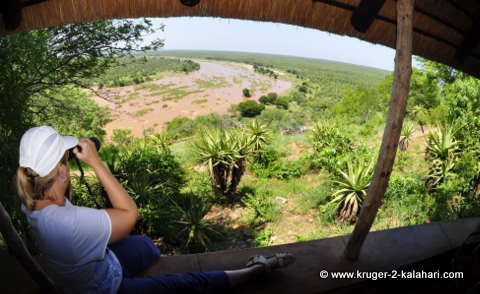 • Shimuwini – Cottage number 15 has the best view but numbers 4 to 14 also have gaps between the trees that allow you to see animals on the far bank. • Sirheni – For photographing from your bungalow we would recommend bungalow number 1. It has a great view of the river and is situated higher than the other bungalows so allows you to shoot over the fence. • Boulders - Four of the bungalows face the waterhole but we would recommend numbers one and four as these two bungalows are more forward and therefore closer to the waterhole. 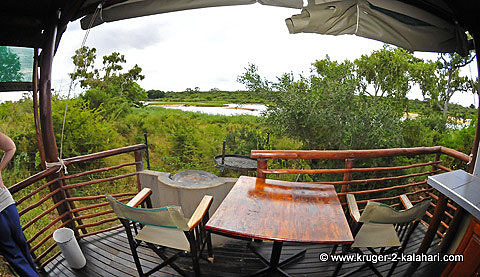 The waterhole is about 70 - 80 meters from the camp and you can also photograph it from the communal viewing deck. 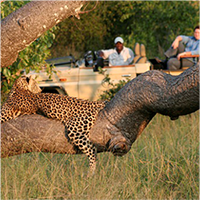 The waterhole at Urikaruus is only about 50 meters from the cabins so is the closest for photography. At the other wilderness camps the waterholes are at least 70 - 120 meters from the cabins making photography more challenging. 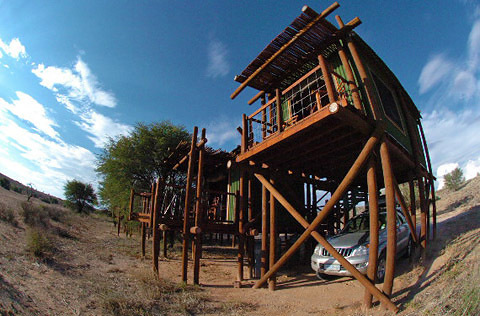 • Gharagab – all four cabins have a view of the waterhole but we prefer number two as it is closer to the waterhole. 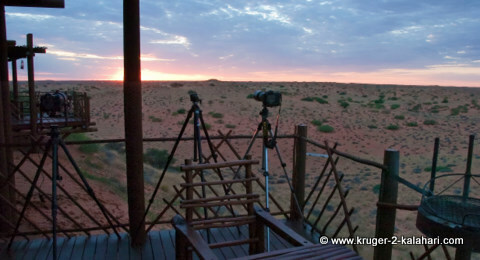 • Kalahari Tented Camp – all fifteen cabins have a view of the waterhole with the middle cabins having a clearer view. We, however, prefer tent number 15 on the end as it is more private, is a bit bigger than the other tents and faces south-east giving a superb view up the Auob river. • Mata Mata has eight river-facing chalets and they all have a good view of the waterhole. There is no fence interfering with viewing so photography from these chalets is good. 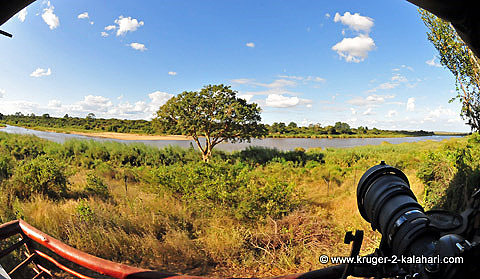 • Okaukuejo – some of the expensive 'premier' cottages have views of the waterhole but we prefer to sit at the wall and photograph as this places us closer to the animals that are coming down to drink. 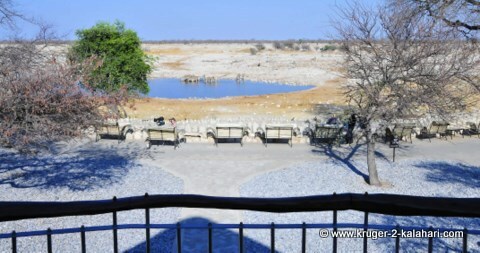 • Halali – no cottages have views of the waterhole so you need to walk up to the viewing area. If you have heavy bulky equipment this may be unpleasant for you so take your lightest tripod! Bakgatla and Mayane are both fenced in so it is very difficult to take photographs through the fences. We have seen elephants next to the fence at Bakgatla and at Manyane we saw a Cheetah but could not get decent photographs. 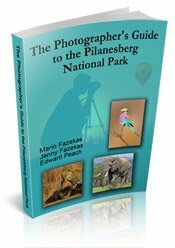 You can get nice photographs of birds and reptiles and at night maybe even a bushbaby in the camps. The other lodges, however, have lower fences and waterholes so it is possible to photograph from them. Ivory Tree and Bakubung's chalets are laid out in a semi-circle with a waterhole in the middle, Kwa Maritane has an underground hide, Tshukudu, Shepherd's Tree and Pilanesberg Private Lodge all have waterholes in front of the lodges. 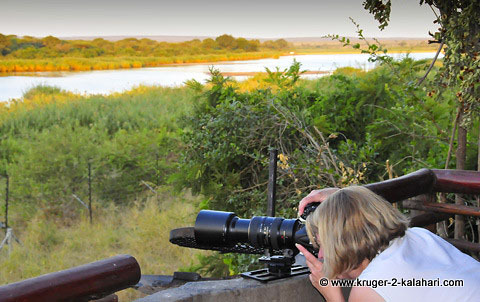 Most of the lodges in Madikwe provide opportunities for photography from within. 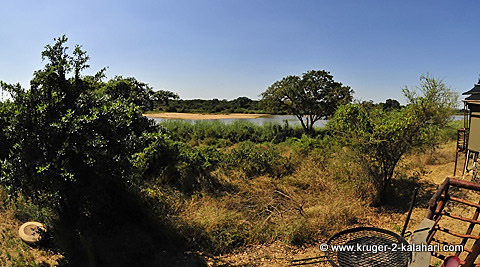 The Bush House and Jaci's have lovely underground hides while most of the other lodges have waterholes or are situated along the Marico River.